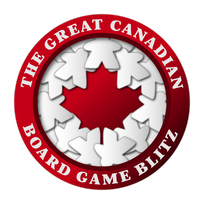 The Great Canadian Board Game Blitz (GCBGB) is a circuit of board game tournaments held at Canadian game conventions and retailers. You play several rounds of games over the span of eight hours, collecting points based on your finishing rank in each game. For more information visit the GCBGB site and check out the tourney rules. There is no additional cost to participate in the Blitz (just the regular admissions cost to KanataKon). No need to register, you can sign up on-site 10am Saturday. Come join us for another exciting Blitz at KanataKon 2015 on Saturday, September, 12, 2015.